My son got the board game Mice & Mystics from Santa this year. 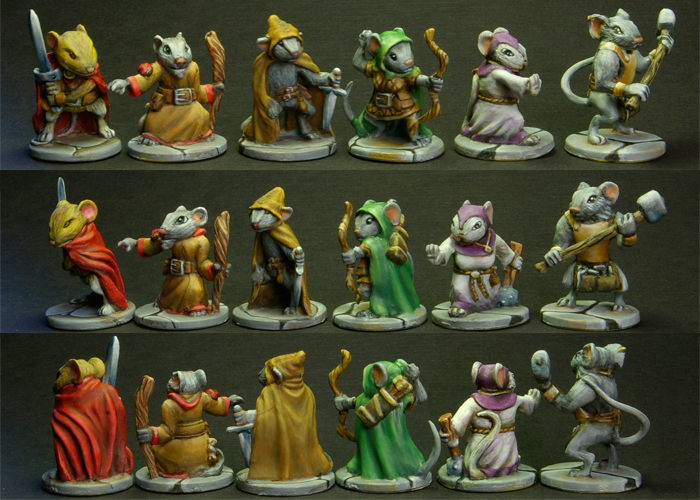 I just finished painting the mice characters (6 of them). I have not painted the minions (centipede, rats, roaches, spider) yet. More photos in my gallery. This is so nice, I bet John really likes these.